PARIS -- More than 18,000 people marched Saturday in Paris as part of an international mobilization to show popular support for urgent measures to combat climate change in advance of a San Francisco summit. 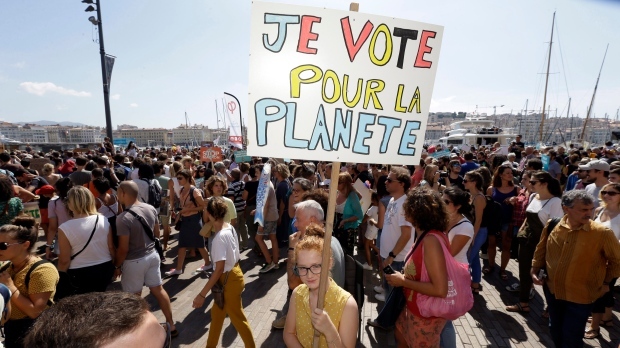 Crowds overflowed a plaza in front of City Hall before marching east to the Place de la Republique, carrying an urgent message that it's up to the public to put global warming at the top of the political agenda. 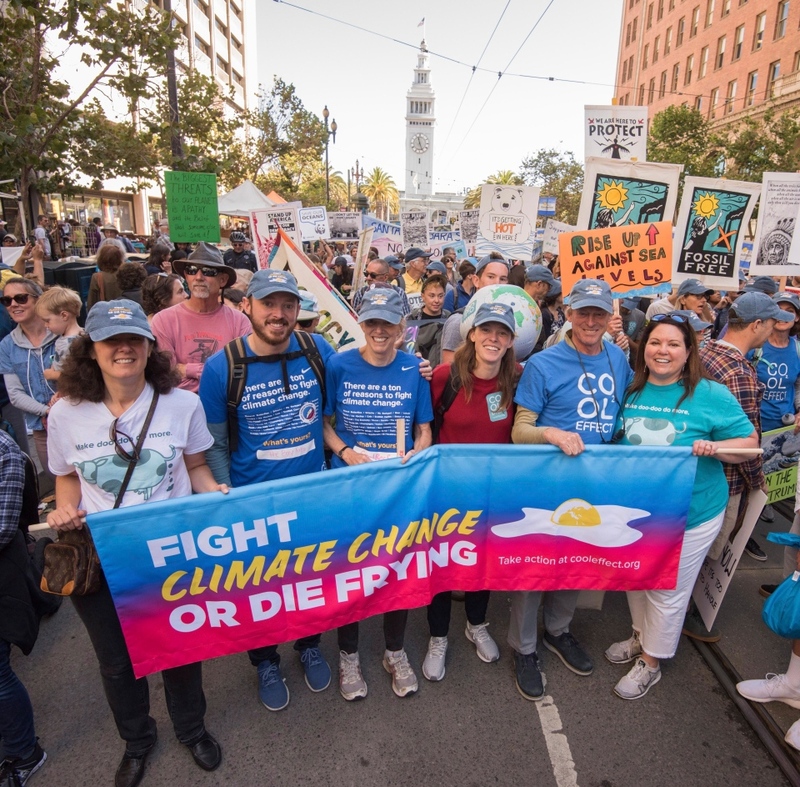 Activists around the world encouraged "Rise for Climate" protests before the summit taking place Sept.12-Sept. 14. California's governor proposed the event after President Donald Trump vowed to pull the U.S. out of a landmark 2015 climate accord. The international agreement was negotiated in France, and the French capital's march was more successful than ones held Saturday in other French cities or elsewhere in Europe. 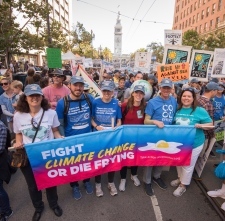 Thousands of people took to the streets of San Francisco, marching about 2 miles (3.2 kilometres) from the city's piers to City Hall. Demonstrators banged drums, sang and hoisted signs that said "Rise for climate justice" and "Not a penny more for dirty energy." They called for politicians to spearhead a transition to 100 per cent renewable energy. 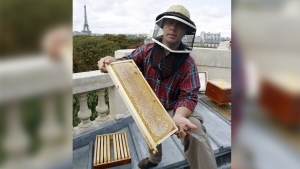 The front-page of France's daily Liberation newspaper featured a call from 700 French scientists for the government to "move from incantations to acts to move toward a carbon-free society." The signing scientists also called for "strong and clear political choices" and said "solutions are available." The march in Paris, organized with the theme "Change the system, but don't change the climate," was both festive and serious.